India is currently buzzing with the jovial anticipation of Diwali, the Festival of Lights, that will be celebrated with fervour starting on 5 November 2010. In preparation for this occasion, India’s most important, there is brisk buying of many things and homes are carefully cleaned. During the five-day celebration, candles and lamps are lit as a greeting to Laksmi, the goddess of wealth and prosperity, both material and spiritual. Gifts are exchanged and festive meals are prepared. Meanwhile, most people are unaware that during this time of the year, the country’s owls are perhaps more in peril than ever. The exact number of owls that are illicitly traded each year countrywide is unknown, but according to a report released Tuesday, entitled Imperiled Custodians of the Night, it certainly runs into thousands. Even though hunting of and trade in all owl species is banned under the Wildlife Act of India, the study by TRAFFIC — a wildlife trade monitoring network — reveals that out of the 30 owl species recorded in India, 15 have been found in the domestic live bird trade. TRAFFIC blames superstition and taboos as one of the main reasons for the covert owl trade and warns of a possible increase in trade around Diwali as sacrifice of this bird is considered to be auspicious. Owls with ‘ears’ (tufts) are thought to possess greatest magical powers and ‘tantriks’ (black magic practitioners) frequently prescribe the use of owls and their body parts for ceremonial rituals. “Diwali should be a time for celebration across our nation, not one when our wildlife is plundered to feed ignorant superstition. India’s wildlife already faces many pressures; the additional burden of being killed out of ignorance and fear is not one that has any place in our modern society,” said Jairam Ramesh, India’s Environment and Forest Minister in New Delhi at the launch of report. 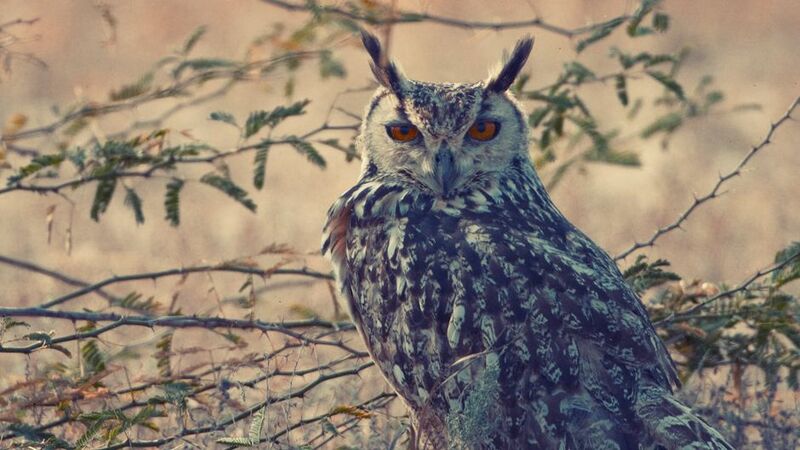 “It is important that the threat to owls is brought to light during the festival of Diwali and concrete ground action is undertaken to curb such trade,” says Jairam Ramesh, India’s Environment and Forest Minister. “Owls are as important to our ecosystem as the tigers or any other better known charismatic species. It is important that the threat to owls is brought to light during the festival of Diwali and concrete ground action is undertaken to curb such trade,” he added. The TRAFFIC investigation also finds that in addition to their main use in occult practice, owls are also trapped and traded for use in street performances; killed for taxidermy and for their meat; their parts are used in folk medicines; even their claws and feathers are sometimes used in headgear. Live owls are also used as decoys to catch other bird species. The report’s author, Abrar Ahmed, had owls on his mind for years but was ultimately inspired by a strange incident to write the owl report. In the study’s preface, he recounts how a wealthy friend’s wife made repeated requests for him to arrange for an owl as a gift for her son’s birthday party — the theme of which was Harry Potter. “This was probably one of the strangest demands made to me as an ornithologist,” he writes. The story had a happy ending however. “In the end, I did bring three white owls to the theme party. I drew owl pictures resembling Hedwig and hung them at appropriate vantage points on the lawn,” Ahmed recounts. “Later in the evening, I heard an owlet calling, and to everyone’s delight a real Spotted Owlet sat on an electric pole at the gate of the venue. I thanked God and took this opportunity to show everyone ‘their’ owl. A variety of owl trapping techniques are documented in the TRAFFIC report, which also says that there are approximately 50 active wild-bird selling points/localities in India where any bird trader is likely to be able to procure owls, although the birds are rarely on open display. “Birds like owls are sold at a premium, brought in only following a specific request by a customer for use in black magic. Often they are delivered to the client’s doorstep,” Ahmed recounts. A variety of owl trapping techniques are documented in the TRAFFIC report, which also says that there are approximately 50 active wild-bird selling points/localities in India. Twenty one of these are major bird markets with an estimated annual turnover of between 20,000 and 50,000 wild birds, including owls. Ahmed’s investigations into the owl trade were conducted during nationwide studies of the bird trade undertaken between 1992-2000 with additional information gathered between 2001 and 2008. In light of the report, TRAFFIC is calling for measures, including better law enforcement, to curb the trade in owls immediately. The organization also wants to see awareness raised regarding the beneficial and vital role of owls in the ecosystem. Owls should be considered a farmer’s friend due to their predation of rodents and other crop pests. TRAFFIC, the wildlife trade monitoring network, is a joint programme of World Wildlife Foundation and the International Union for the Conservation of Nature. TRAFFIC currently works on wildlife trade issues in over 25 countries and territories, with ongoing research and activities in several others. Illicit owl trade casts shadow on Diwali in India by Syed Ali Mujtaba is licensed under a Creative Commons Attribution-NoDerivs 3.0 Unported License. Syed Ali Mujtaba is a journalist based in Chennai, India. He was a Jefferson fellow at the East West Center, Hawaii, in 2003. He writes for several newspapers, news syndicates and websites. He is the founder and moderator of an Internet forum called South Asia Contact Group that has over 250 members. His works can be accessed though Google and YouTube, as well as his blog.